When I visited Rider, I was able to speak to the chair and the professors in the science program. I felt connected. Everyone was super nice. I really felt at home … and it still feels that way. Isana first came to Rider for an open house event at the urging of her mother. She returned for Admitted Student Day and Student for a Day. “The more I came to Rider, the more I realized how special it was. I felt so comfortable and everyone was so friendly,” she says. She made her final decision after receiving generous scholarships and being accepted into Rider’s Freshman Science Honors Program. Isana came to Rider intending to become an obstetrician/gynecologist. 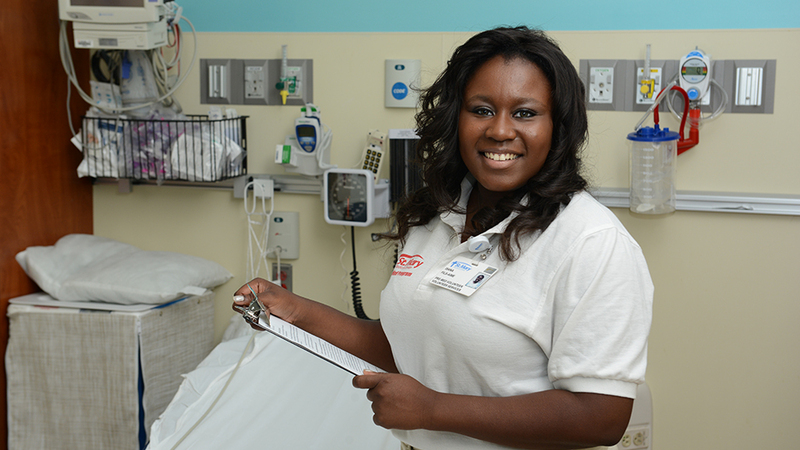 Through her Rider connections, she pursued — and landed — four separate hospital internships and education experiences with multiple opportunities to shadow doctors, nurses, paramedics and other medical professionals in a variety of settings. During her sophomore year, she took part in the Rider University Hospital Intern Program at Capital Health Regional Medical Center, where she joined hospital staff in the emergency room, operating room, labor and delivery, radiology and radiation oncology. “It was a wonderful learning experience and a great opportunity to see various aspects of the medical field. I got to see what I liked and didn’t like,” says Isana. That included the realization that delivering babies and performing emergency C-sections was not for her. “It was better for me to learn that now,” she adds. 1 Isana has worked on campus in Rider’s Office of Multicultural Affairs since her freshman year. The number of volunteer hours Isana performs each year as a Rider Bonner Community Scholar. Over the past three years, she has volunteered at the Social Security Office in Trenton, the After School Tutoring Program at Living Hope Empowerment Center and the Trenton Area Soup Kitchen. 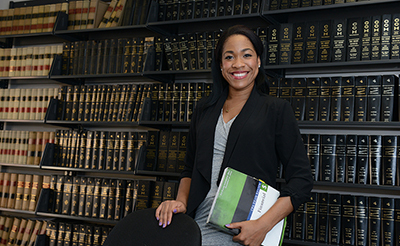 "I came to Rider wanting to pursue one profession, but I discovered another pathway. My internship experiences opened my eyes to the many options in medicine: they helped me discover what I truly want to do."